United Farm Workers President Arturo S. Rodriguez and Cesar Chavez Foundation President Paul F. Chavez issued the following joint statement from the farm worker movement’s Keene, Calif. headquarters on the announcement that President Obama will present Dolores Huerta with the Presidential Medal of Freedom. 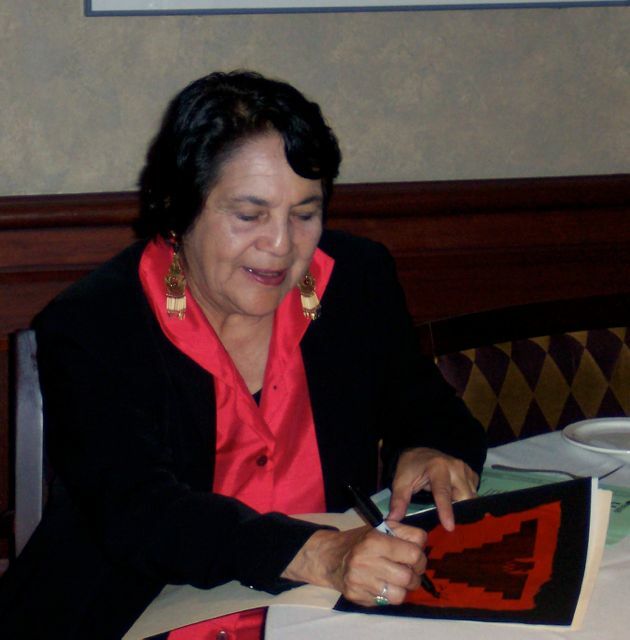 Over six decades, Dolores Huerta put the nonviolent fight for civil and labor rights ahead of her personal interests, and sometimes before her personal safety. Like all the farm worker strikers and boycotters, she accepted a life of voluntary poverty for many decades. Her dynamic and inspiring leadership through the most difficult and turbulent times in the farm worker movement’s history established her not only as a leader of farm workers but as a role model for women and men across this nation and beyond. We congratulate Dolores on receiving the nation’s highest civilian honor. No one is more deserving after a lifetime of self-sacrifice and deep dedication to defending the poorest and most abused people in our country.